This is the 2.0 version. The riots during January featured a flimsier, wooden version. 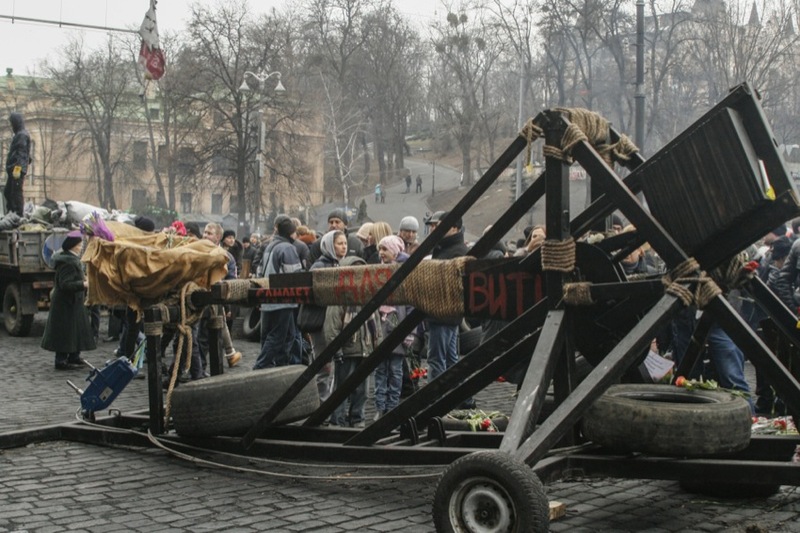 The February riots occurred in a different location, so this catapult might never have been used.